Zelda. Ico. Shadow of the Colossus. Even a little Metroid. Runic Games has borrowed concepts from these iconic adventures for its next PC and console game, Hob. Why "Hob?" Well, the name has a dual meaning that refers to little sprite characters and machinery. But also: "I like one-word titles," CEO Max Schaefer told me. Agreed! The story is told through a shape-shifting world, not through text or voice-overs. 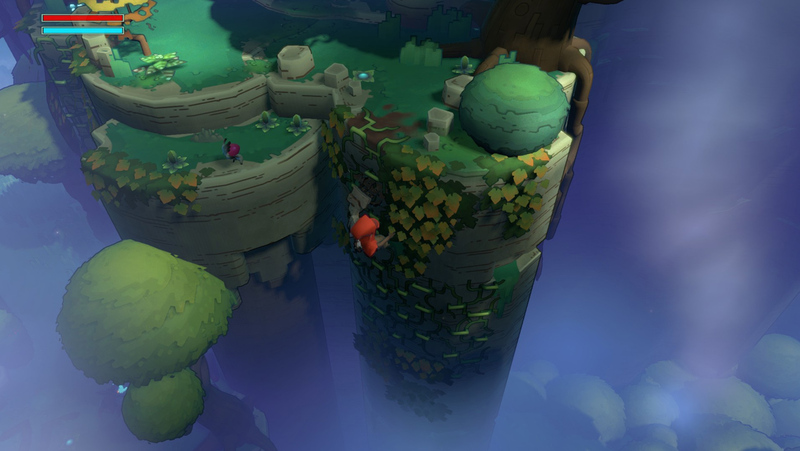 There's light platforming and puzzle solving. You can slice grass to reveal hidden health pickups. Horrible monsters make an awfully gory mess of adorable wildlife despite the cartoon-y visuals. While the individual elements of Hob sound familiar, it has a feel all its own. My demo at PAX Prime was short, and left me with questions that almost certainly won't be answered until I get to play the finished game, whenever that will be. It's still a ways off. I was dropped into an early area of the game -- but not the actual opening, it's worth pointing out -- and started hopping up hills and climbing vines. Hob is presented from an overhead view, but its camera dynamically zooms in on focal points. It pays to check out every tucked-away area for health, stamina, and weapon upgrades, sure, but also to take in the sights. Eventually, I happened upon some basic creatures and then a boss. My Souls instincts kicked in and I rolled, rolled, rolled. You can never be too cautious, y'know? The bigger foe was fairly easy but, in general, "The idea is that all of our monsters will basically destroy you unless you actually figure out how to beat them," according to Runic president Marsh Lefler. 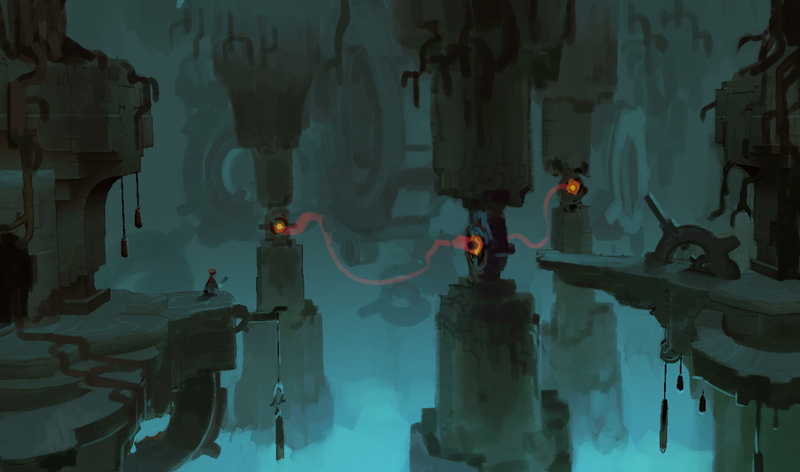 Moving on, I worked my way underground to an area like the one shown in this concept art, and used my arm to grapple around. The world is, in part, mechanical. It doesn't sit still. You might come back to a spot you've already gone through only to find that it has been altered. Runic wouldn't give much away about the story, but teased something unexpected. "What makes this game unique is what it hints at -- we have some pretty big ideas for it," said Lefler. He also believes the team is "going to blow people's minds when we start showing them what we're going to be actually doing with manipulating the world to the Nth degree." While there will surely be a Torchlight III one day, I'm happy we're getting Hob first. It sounds like the folks at Runic are genuinely happy to take a break from RPGs, too.